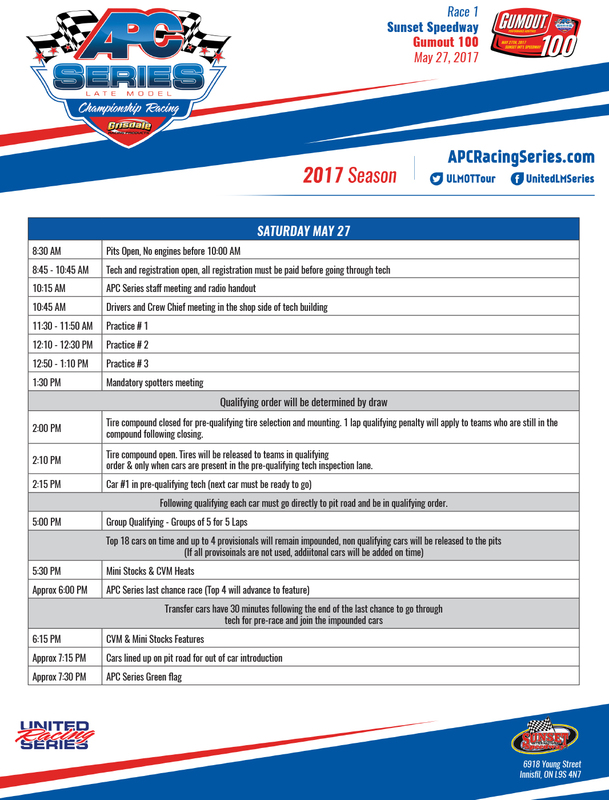 The APC Series is set to kick-off its 2017 campaign with the Gumout 100 at Sunset International Speedway on May 27th. The event will see the introduction of the new group qualifying format for what is expected to be a large field of Pro Late Models for race 1 of 10 on the tour. 100 laps of green flag racing will cap off the evening, as drivers look to start off their championship battle on a high note.